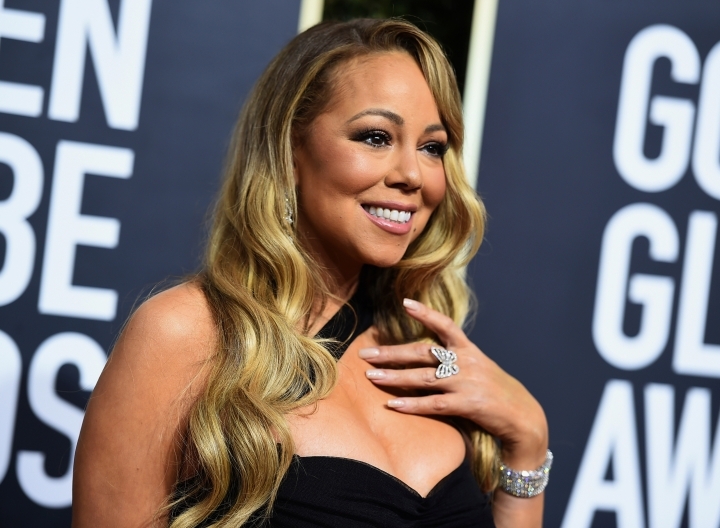 DUBAI, United Arab Emirates — Mariah Carey, one of the world's most celebrated artists, is performing in Saudi Arabia on Thursday for the first time, but there's a growing chorus of Saudi women calling on her to cancel the concert to show support for detained women's rights activists. But activists say her concert is an attempt by the government to polish its image after the Oct. 2 killing of Saudi critic Jamal Khashoggi inside the Saudi Consulate in Istanbul. It's a dilemma that other celebrities could face as they ink multimillion dollar deals to perform in Saudi Arabia. The kingdom's General Entertainment Authority has promised a roster of major performances and sports exhibitions by the world's biggest names. 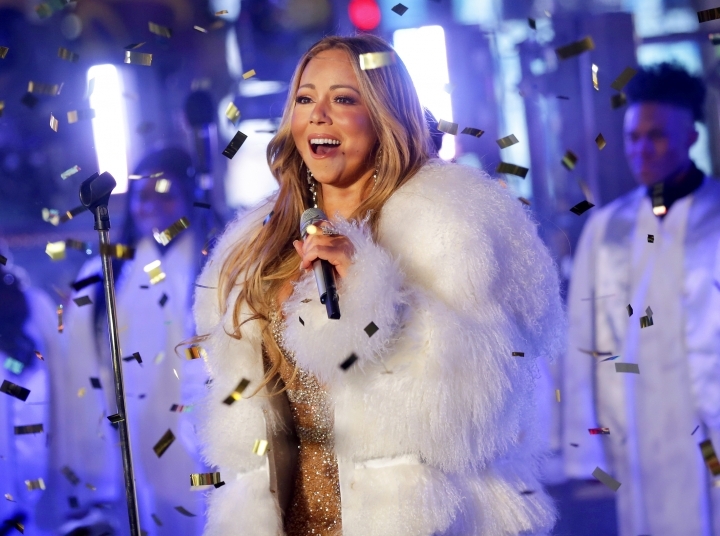 Carey's publicists told The Associated Press in a statement that when "presented with the offer to perform for an international and mixed gender audience in Saudi Arabia, Mariah accepted the opportunity as a positive step towards the dissolution of gender segregation." "As the first female international artist to perform in Saudi Arabia, Mariah recognizes the cultural significance of this event and will continue to support global efforts towards equality for all," the statement said, adding that Carey looks forward to bringing inspiration and encouragement to all audiences. Omaima Al-Najjar, a Saudi woman who fled the kingdom to seek political refuge abroad, said the concerts are a diversion from the Saudi-led war in Yemen against the neighboring country's Houthi rebels, human rights abuses committed under the crown prince and repressive male guardianship laws that restrict women's freedoms. "The Saudi government is using entertainment to distract the people from human rights abuses because it can sense the anger among the public," she said. Al-Najjar is a co-founder of Women for Rights in Saudi Arabia, or WARSA, which launched a petition calling on Carey to boycott the country. The petition aimed to publicly pressure Carey because "she has power to stand for women ... as an artist and as a female," Al-Najjar said. Activists are tweeting at Carey directly, urging her to take notice of the prominent Saudi women's rights activists imprisoned since May who had long campaigned for social changes and women's empowerment. The women, who include activists in their 20s as well as mothers, grandmothers and retired professors, have been accused of vague national security violations in connection to their human rights work. Al-Najjar said artists like Carey should make their performances in Saudi Arabia conditional on the release of the women's rights activists. A boycott would not impact ordinary Saudis because many cannot afford the concert's ticket prices anyway, she said. Tickets for Carey's concert start at around $80, and VIP seats — already sold out — cost $530. The average monthly wage for Saudis is around $2,600, according to the General Authority for Statistics. Alia al-Hathloul called on Mariah Carey to remember her sister, Loujain al-Hathloul, who she says has been abused and threatened with death while in detention because of her activism, which included defying the kingdom's ban on women driving before it was lifted last year. "Remember, thanks to my sister @LoujainHathloul, you r able to perform in Saudi Arabia. I wish she can attend your concert. But she's locked behind bars because she tried to improve women's condition. Don' forget to thank her on stage," she wrote to Carey on Twitter. Saudi female artist Ms Saffaa wrote on Twitter: "Will @MariahCarey be singing 'It's a long road when u face the world alone. No one reaches out a hand 4 u 2 hold' to imprisoned female #Saudi activists @LoujainHathloul, @Saudiwoman, & @azizayousef?" Carey is to perform at King Abdullah Economic City, a two-hour drive north of Islam's holiest site of Mecca. The Economic City, built as a sort-of enclave for foreigners and Saudis, is gated and can only be entered with permission from security. The General Entertainment Authority's online flyer for Carey's concert shows her only from the waist up, with a red scarf draped over her arms. Women in Saudi Arabia are required to wear loose, long black robes known as abayas in public. Most Saudi women also cover their hair and face. Efforts to brand him a reformer took a hit after Saudi agents close to the crown prince killed and dismembered Khashoggi, a Washington Post columnist who was critical of the prince's crackdown on dissent. The U.S. Senate and U.S. intelligence have blamed the crown prince for the killing, but Saudi Arabia insists he had no involvement. Thursday night's concert is taking place at the Saudi International golf tournament. The European Tour has drawn several of golf's biggest stars, including four of the top five players in the world. The golfing champions signed up to play for the European Tour event last April, well before Saudi agents killed Khashoggi. Even so, at least one big-name player pulled back. UNICEF ambassador Paul Casey has also said he'd "sit this one out." Associated Press music editor Mesfin Fekadu in New York contributed to this report.